It's my birthday today and I feel like spreading some love! 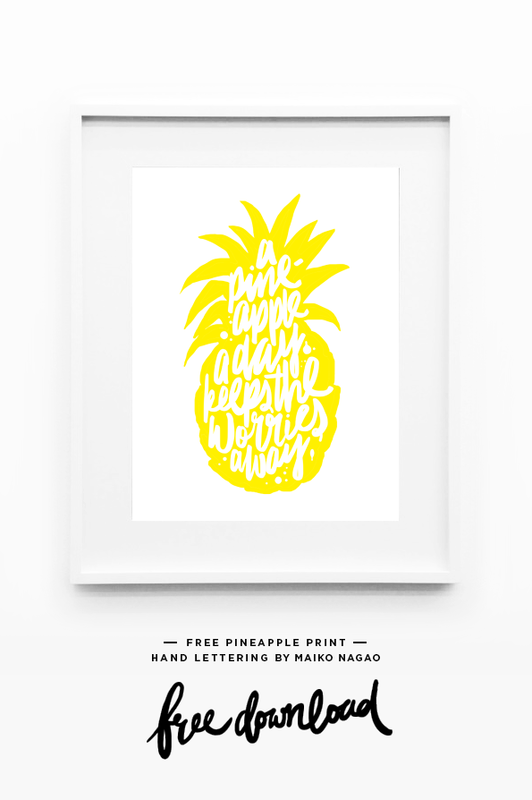 So here is today's creation as part of my 365 days of type 'A pineapple a day keeps the worries a day' print for you to download for free! Make sure you print on a thick A4 card and set it to 'fit to page' when printing. Follow me on facebook, pinterest and twitter, for more daily creative inspiration! I'm obviously a bit late to the Maiko Nagao party, but glad to discover your blog and am now following happily alone. Thank you for a great freebie, I've printed it for my daughter's room. Thank you for the image to print! 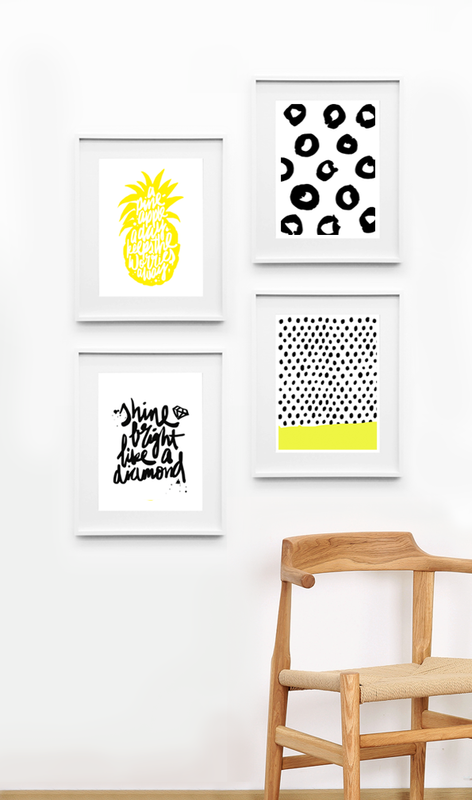 Im redecorating my sons playroom and the color scheme is black/white and yellow, just perfect! I love this print! Thank you for sharing.